The university is renting out rooms in its new 17-floor building and student life center known as “The Flats"
Looking for a place to stay during Lollapalooza? If you’re not going to get a hotel room, and you’re not able to couch surf your way through the weekend, East-West University might have the perfect alternative—dorms. Located just one block west of Grant Park, the center is offering up two- and three-bedroom apartments for festival attendees looking for a place to stay. 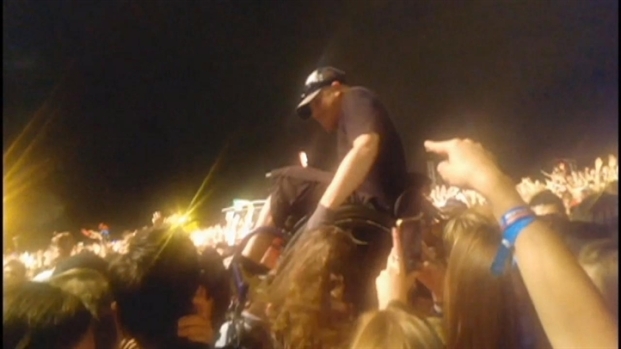 "Rollin' Rick" discusses his weekend crowd surfing at Lollapalooza. The apartments include a kitchen, dual-use bathroom, and a living room along with Wi-Fi, a community lounge, a front desk with 24/7 security and linens and towels. Two-bedroom apartments, which can house four people, are available for $400 and three-bedroom apartments go for $600 and house up to six people. But for festival goers looking to party college-style, there is a catch-- the facility is smoke-free and does not allow alcohol.